Sidoarjo, 18 January 2019 - Archipelago International, Indonesia’s fastest growing hotel management company, has just announced their newest addition to the family album with the opening of Hotel NEO Waru Sidoarjo. Adopting the brand’s signature futuristic feel, the first NEO hotel to open in the area is ready to set a new benchmark for Sidoarjo’s accommodation options. 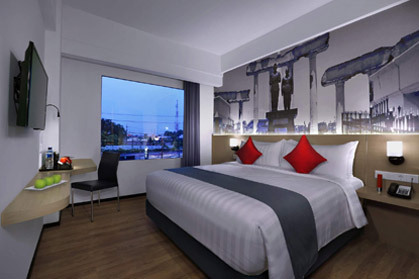 Located close to Surabaya, one of the most vibrant metropolitan cities in Indonesia, NEO Waru Sidoarjo brings a higher standard hotel to the Sidoarjo Regency. Offering a more comfortable stay experience, with the benefit of the hotel’s convenient location close to trading districts and toll roads, Hotel NEO Waru Sidoarjo is ideal for both business and leisure travelers. 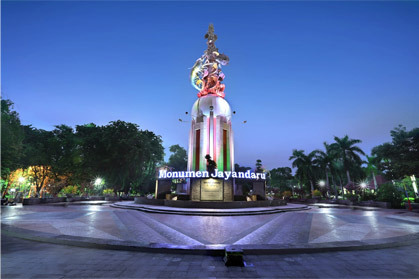 "Sidoarjo is an urban region surrounding Surabaya, boasting many different industries and economic opportunities. It has been said that Sidoarjo is becoming a key component for the progression of East Java's economy as a whole, and as such, we pinpointed the growing need for quality accommodation in the area, and Hotel NEO is an ideal fit” said John Flood, President and CEO of Archipelago International. Hotel NEO Waru Sidoarjo features 130 guest rooms across three categories - Superior, Deluxe, and Suites – and to accommodate business and conference events, Hotel NEO Waru Sidoarjo also features 5 modern and stylish meeting rooms, able to accommodate up to 500 delegates.